Any business space needs regular office cleaning. Clean space looks more attractive for both – employees and customers. Still saving on cleaning service and using your employees to clean the toilet or wash the windows? Think about that they will never do it professionally. In addition, they spend their working hours not on purpose, instead of answering calls or communicating with the client – your business suffers. A good cleaning company will shorten the cleaning time by 75%, whether it is residential or commercial, which means that you will have to spend three times less time cleaning the floors, vacuuming or washing after work. Thus, if, say, you need to spend four hours cleaning, you will have enough time for this work for one hour and you will get rid of the dirt on the territory of your office. So why are you trying to deal with the endless mud yourself, when someone can give you a helping hand and get rid of the most difficult cases? If you have never used office cleaning, then evaluate the main benefits from which your business will only benefit. Here are the main 8 reasons why you just need to charge the cleaning professionals. When a client first enters your office, he judges your professionalism by the level of cleanliness. 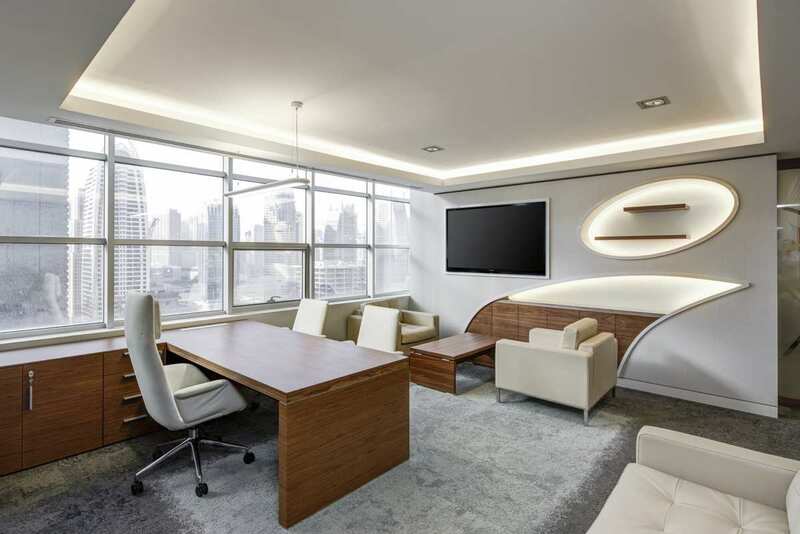 With commercial cleaning, you will always be calm, that your office makes a good impression. Don’t forget to clean storefronts, inner space, kitchen, floors, conference room tables, WC’s and any other restroom facilities that might be used by your clients. When your employees often get sick, the process stops, and the business loses money and customers. Take care your office is not a hotbed of bacteria and germs. Wet professional cleaning will help you with this. Invest in a cleaning every part of your workspace: floors and carpets, walls, windows, bathrooms, hallways and even the outside of the building. According to research, a clean workplace positively affects the mood and work activity of employees. In addition, unhygienic workplace – is one of the most common reasons for staff turnover. The average employee spends about 8 hours a day in the workplace, considering work as a “second home”. You’re helping your employees to be efficient, productive, and happy by keeping the work environment well-maintained, clean and tidy. Life and mood of your employees often depend on good air. Every year about 4 million deaths are caused by indoor air pollution, primarily in developing countries. But it is serious problem in developed countries as well. Typically, cleaning companies designate a particular cleaner or team to do certain work and provide customers with consistent tasks. This is the established practice, and all the cleaning specialists are carefully selected, tested and prepared. A professional cleaning worker is trained in cleaning, seminars and special training aimed at acquaintance with the highest standards of the cleanliness industry, they are trained to provide high-quality services and communication with the client. Unlike a cleaner who can get sick or simply not go to work for a number of reasons, the cleaning company employees will always fulfil their duties. An absent employee will immediately be replaced. Having concluded the contract with the cleaning company, the manager relieves himself of the need to regularly pay the cleaning specialist a salary, make deductions for taxes. Do not have to spend the company’s budget to buy household cleaning products, which usually run out very quickly. If something happens at a time when a professional cleaning worker is working in the house (a broken or damaged piece of furniture), your belongings are protected, because all paid professional household services bear insurance liability. In case you are unhappy with the result of the work of the cleaning specialist or there are other problems, you can always call the customer service department of the cleaning company and explain the problem to them. The cleaning company is serious about any kind of concern for its customers and will try to solve the problem as soon as possible. How often should the office be cleaned up? Daily and this is not a whim, but a necessity. The sanitary condition of the rooms, in which people constantly work, should be at a very high level. It depends not only on the working mood of employees but also on their health. No manager wants to constantly pay for sick leave. The most effective and optimal is the morning cleaning of offices. In this case, the team will start working in clean and ventilated rooms. Dust will be removed from the surfaces, garbage will be taken out. The floors will be washed, the flowers will also be poured. Professionals of the cleaning company will finish their work long before the office day starts. Therefore, the procedure does not violate the usual flow of the work process. This is a very significant advantage of the morning cleaning. It is proved that professional cleaning service saves time and money, leaving the customer a clean working space, attractive for both employees and clients.